Back at it and LOVING IT! 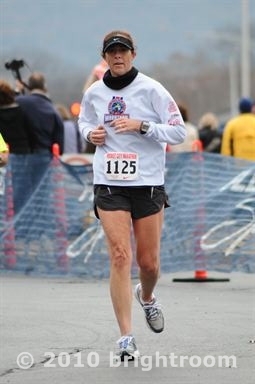 Currently I have had 4 easy runs since Rocket City 26.2, and will run another easy run today. I am feeling great. Just easy running for now, but REALLY looking forward to training with intensity again. I will run the Steam Whistle 12k this Sat., Jan. 1st, and that will be my first run with any intensity to it. I really do not have a plan for the 12k, and will just run by feeling that day. I will run with intensity and see what the day brings. I will run 3-4 days prior to the 12k, but will limit those to easy running. Thanks Linde (my sister), for taking the pics. She came to rescue me from the rain, but I was have having such a great day, I decided to finish the run. I asked her to take a few shots so that I could pick on my blogger friend, Chris K. (just kidding Chris). Mom recently got rid of her treadmill so it was the road, or no run. Plus, I am not good on the mill, but I do believe it's great mental training and discipline to get those longs runs in, on the treadmill. It ended up being a GREAT run. One of those days you remember. Yippie - my bloggie gift arrived! When I read Lindsay's post on Tues. (a blog I'm always sure to read), I wondered if she might have my name. I wondered because I had not received my gift. Was totally excited about the possibility of the "raise your ade" CD heading my way. Package arrives with a SC addy, yep it's my friend Lindsay. Quickly open the package to find total awesomeness. 2010 with the cute Boston 2010 logo. So clever, creative, and artistic. Yes, I'm jealous of all three because I have none of those talents. Thanks Linday! I have enjoyed reading your blog for the past couple of years. You keep me entertained, and inspired. Love my bloggie secret Santa gift - THANKS! and once again, thanks to Jill for pulling it all together. About the running? So I went to my Mom and sister's house last weekend for a Christmas party and totally, over indulged. (duh).....so I couldn't take it any longer. Yes, Christmas day was supposed to be my next run, but Christmas came early in my world. Hubby totally surprised me with an IPAD. Now let me explain a few things. The past couple of years, we have not been doing much of anything for Christmas. We both have Christmas all year long. Chad with his tournaments, and me with my running adventures, and running toys, well, let me just say we are blessed and spoiled. Next, I am NEVER on the front end, or even in the middle of a technology curve. 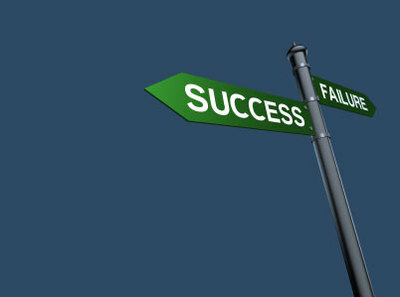 Typically, by the time I get something, everyone else is moving on to something new and better. So this year, I have this year's HOT gift item. SWEET! Thanks Chad! I LOVE the Ipad, but I love you so much more. ...back to the running. Yes, I said I would take 2 weeks off after Huntsville, and typically, I do just that, but remember the Christmas party, ahhh, yes the Christmas party with desserts galore, and my inability to control myself. Yes, a dessert buffet after a big bowl of delicious gumbo, well, actually 2 bowls of gumbo. My Mom and sis can cook! So this past Tues. was the day. I couldn't take it any longer, waaayyy to many calories being consumed to be taking time off from running at this time of year. 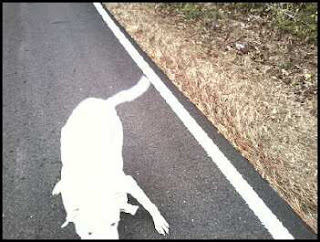 Tues., I headed out for a 5 mile run with Amber. It was a little on the warm side, I was huffing and puffing, and loving every minute of it. Today, another 5 mile run with my beloved Ipod. Music in my ears, music to my heart, music to my soul. 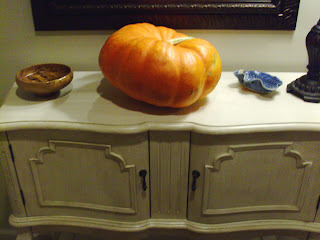 Heading back to my Moms house on Fri. for 2 more days of celebration and feasts galore. Then I'm back on track. I have some goals for 2011, and they DO NOT include an expanded booty, and a larger pant size. CRRAAAV V VING AN I-POD RUN! SERIOUSLY! Oh yes! Typically, I try to take 2 wks off from running after each marathon. It's my way of saying thank you to my body and mind for getting me through another training season. I like to let my body heal and give myself a break from the training. During this time, I will do some other type of exercise for 30 minutes each day. I can't seem to talk myself into biking in the cold, and I do not have a trainer for the bike, no access to a gym, so most of the time it ends up being a 30 walk. This week has been nice because each day I have walked with my hubby. The race was on Sat. and by Sun. night, I was already craving a run. That's a nice feeling, especially so soon after the race. Yesterday,(Thurs., after Sat. race), as my hubby and I were driving around completing "work errands", I mentioned my craving an I-POD run. Yes, I missed my 4 hour session on marathon day, and it has left me craving a long run with my MUSIC. I can't help it, yes, apparently I'm addicted to more than running (duh). I'm suffering from music withdrawals too. Christmas Day is supposed to be my next run, but I think Christmas may come early in my world. Jennifer and I, just out the door of the hotel and ready to race. early in the race - "serious racing" or was it serious misery (no music) ??? Notice the arms getting a little higher and yes, swinging across the body....fatigue urgh! Look at the positives....thumbs still down - yay! I did it! Yes! I didn't let the "no I-POD thing" "get me." Immediately after this race, I felt REALLY, really BAD. Typically, I go straight for the water, gatorade, then hit the food table...yes, stop running, and go eat. On Sat., I felt BAD. I had some water and gatorade, and headed straight to the room. My legs felt really bad, so I headed up to the room for an ice bath. The first round, I didn't have enough ice, but after sitting in the cool water for 10 min., I immediately felt better. I went back to the ice machine, reloaded, and went back in the ice for 10 more minutes with my coffee this time. After I finished, I felt much better. During this process, Jennifer called and gave me her excellent finishing news, and she was already at the massage tables. That sounded like a GREAT plan, so I headed down for a quick massage. We celebrated that night with my favorite.... PIZZA! It was so delicious! 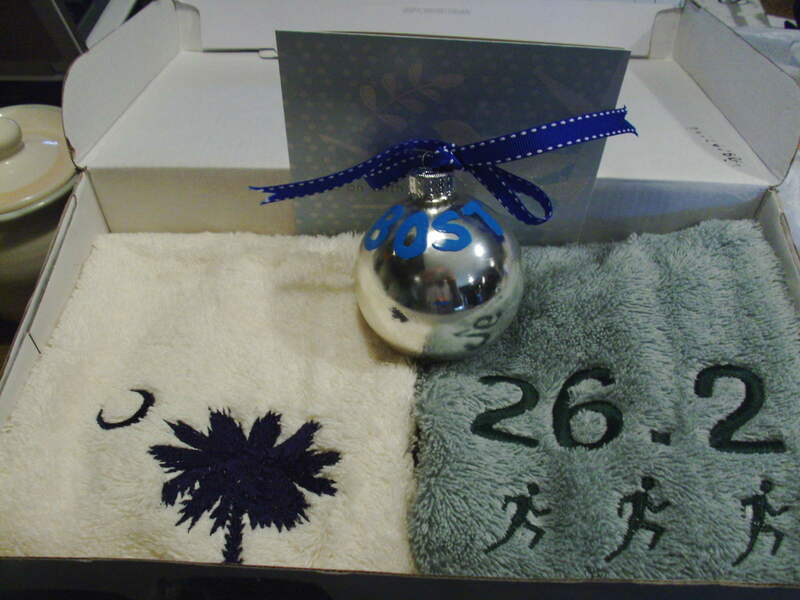 Hope you get some cool new running gadgets! My blogger gift has been mailed, and I'm anxiously awaiting the arrival from my secret blogger gift. 7 -10 days prior to the marathon the Huntsville Track Club started escalating the info., and the intensity about NOT wearing I-pods in the race. The no I-pod logo moved to the top of the homepage, and each email seemed to have more information about not wearing I-pods. They said you would be "pulled off the course and DQ'ed." 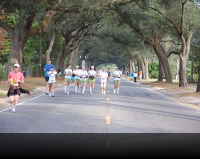 At a recent half marathon, it was reported the HTC, DQ'ed 20-30 runners (not sure if that's true or not). When I signed up, I was aware of the no i-pod comment, but most races have that comment on the website for insurance purposes, and rarely is the "no I-pod rule" enforced. Going into the race, I felt I had a chance to BQ again (Boston qualify), so I decided I would not risk being DQ'ed. 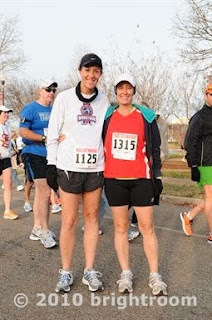 (had I known I would be so far off my BQ number, I would have certainly taken the risk to be DQ'ed) Before the race, as Jennifer and I discussed NOT wearing our Ipods, she mentioned, "maybe you will find that you like it" I told her that I seriously doubted that would happen. Music is a HUGE part of my running enjoyment. It's like visiting an old friend each time I'm on a run and hear a song I haven't heard in a while. It's also like meeting new friends when there is a new song that inspires me to pick up the pace, or just "puts me on cloud nine". As I predicted, the day was LONG! I did not enjoy the race as I normally would. I started with a pace group for several reasons. The one other time that I tried it, I enjoyed it, (except for the pacer was going too fast). Another reason I joined the pace group was because of the no I-pod rule. 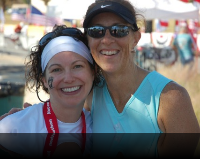 I wanted the company of other runners to chat with, but mostly to listen to, as I ran. My 3rd reason was because it was a windy day. The wind was out of the South, and we had a 5-6 mile stretch that headed into the South wind. My plan was to be in the back of the pace group so the group would protect me from the wind. One of the big problems with a pace group is you do not have the freedom to run the tangents as you normally would. This created an immediate problem. The other issue is some pacers do not "pace" evenly. After the 1st couple of miles our pacer started picking up the pace, I stayed with the group for a while,(too long), but eventually let them go. When I let them go, I was on the windy section of the course. I couldn't find anyone running the same pace, so not only was I running with no protection into the wind, I was also running solo - WITH NO TUNES in my ear. Brutal! Many times during the race, I thought to myself - this is NOT fun. I was actually a little shocked to find out just exactly how important my music is to my enjoyment of running. I already knew music is very important, but now I know EXACTLY what it means to me. I ended up running 3:56 for the day. I wanted to run 3:50 or better, but this is my 2nd fastest marathon time, so I feel fortunate to end the day with that. I finished with the Garmin @ 26.39 - tangents, tangents, tangents - urgh. 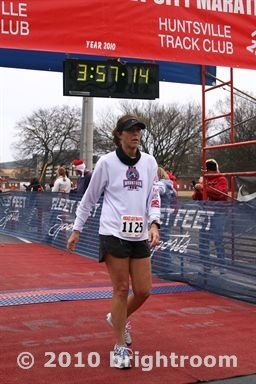 Obviously, Ginny WILL NOT be running Rocket City 26.2 again. I hate it because EVERYTHING else about the race is GREAT. The weather, the course, the organization, the shirts, the size of the race - it's all perfect for me. We walked out the door of the Holiday Inn at 7:50, walked about 30 yards to the start line of the 8:00 race. I loved the convenience, the organization, the post race massage - all GREAT! So if you are not an "I-poder" - in other words if you are a "real runner", a "purist runner", I would highly recommend this one. It was a fun weekend, even though the whole I-pod thing messed up my race experience. Jennifer and I had a GREAT time. Jennifer PR'ed by 21 minutes in only her 2nd marathon. So excited for her! She ROCKED IT! I found this pic on an unknown fb entry. To the left, face totally covered - "drinking on the run"
should have been more than water in that cup! Wanted 3:50, but sub 4:00 is always nice. So I'm in the typical pre-marathon quandary of what to wear on race day. Actually, most of the time, I know what to wear because most of my marathons have been on the WARM side of things. Today, I think I know what to do, but wanted to get some "racers" opinions. It will be mostly CLOUDY and humidity around 50%. For my final hour of running it will be around 48 degrees with a real feel of 44 degrees. I mention cloudy because cloudy and 36, feels much colder to me than sunny and 36. Would you wear, shorts or tights? So very excited to be in this particular dilemma. Updated - Strong Body Strong Mind and Beautiful GoodBye! Be sure to read the previous post before this one. So this evening I headed to the track to run my last hard workout before Huntsville. 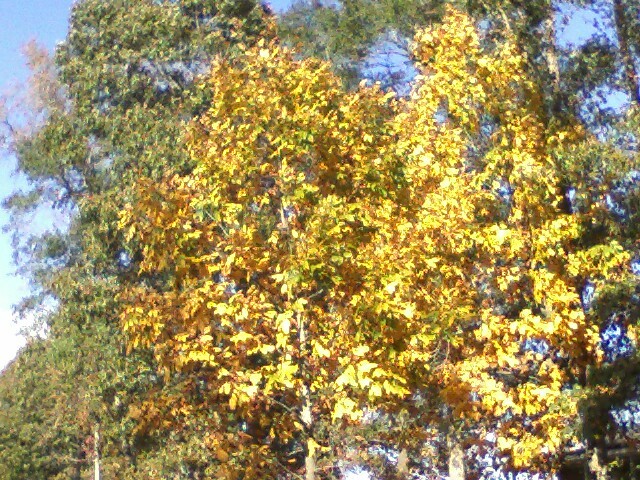 In fact, it will be my last hard workout for 2011. (taking 2 weeks off, from running, after Rocket City). Tonight, was solo because my running partner had work/school stuff going on - can you believe she lets her work and grad school get in the way of our workout? ha ha After the 10 X 800 last wk, and with the race on Sat. tonight was a shorter, "just get the legs turning over" workout. 2 mile w/u, 8 X 400 at 1:47 avg. w/ 1 min recovery, then c/d to get 6 miles total for the day. 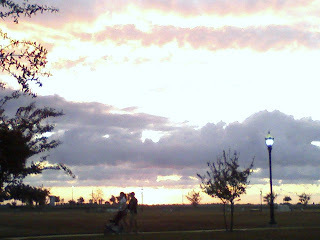 Next I headed to Serenity Yoga - a nice way to end the evening. Beautiful Goodbye by Amanda Marshall. This was the final 400 of the night, the final hard workout before Rocket City, and the final hard workout of 2010. 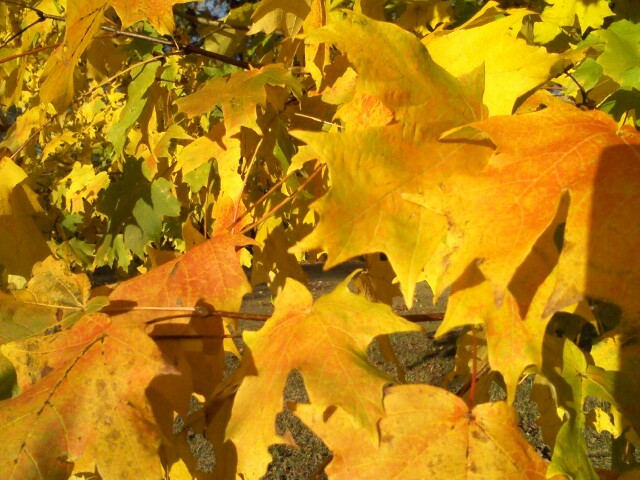 Goodbye to hard workouts, goodbye to fall marathon training, and goodbye to training for 2010. Once again I am reminded how lucky I am to be able to run, and run hard. Tonight, I am thankful for my health and music - You are BEAUTIFUL! ART IN MOTION - I LOVE THAT! This is what I'm thinking about this week. 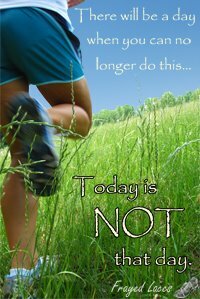 tomorrow is NOT promised, do it today! You've worked too hard to give up now. Hoping for a good day on Sat. for Jennifer, Bridgett, and myself. Rocket City Huntsville, AL here we come! 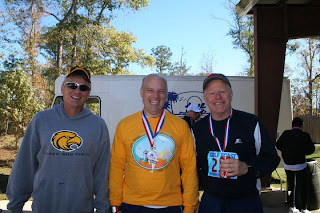 So I headed to the Stennis Space Center to run the half marathon. With the cold weather prediction of upper 30s by the start time at 8:00 am, and my training this fall, I felt really good going into the race. I was not disappointed today. I ran 1:47:25, unofficial time. Today was just one of those rare days. For me, it was reminiscent of St. George. In talking with friends after the race, for many, it was a PR day. 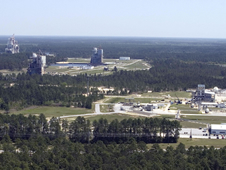 The course at Stennis is a GREAT PR course. If you have good weather, it's "game on." 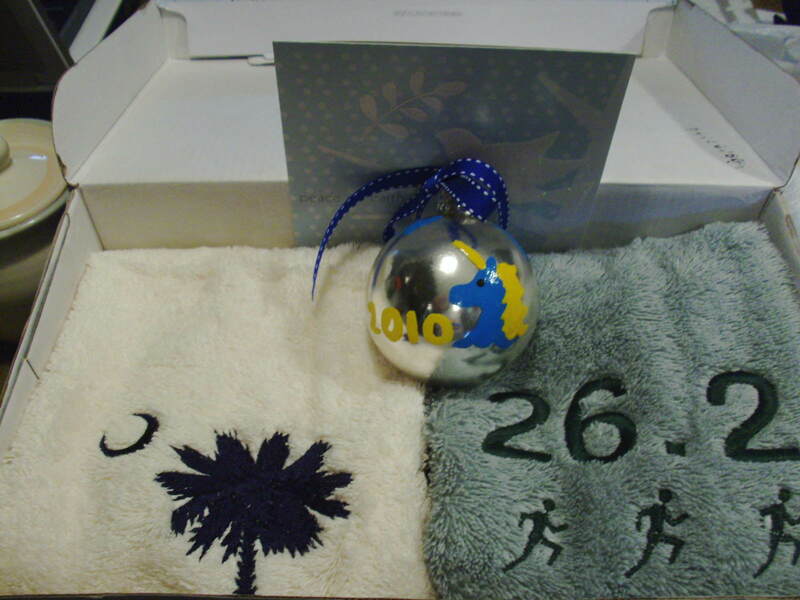 previous PR pace was 8:16 pace - Stennis 2009, so 8:15 was the goal for the day. Plan - start the first 2 miles a little slow, and then pick it up. 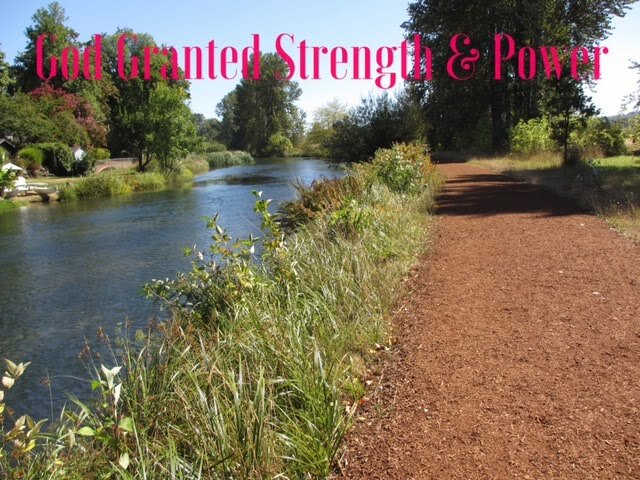 What helped me through the run today? 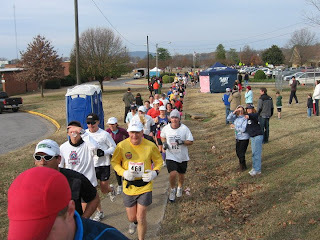 *In getting ready for the Rocket City Marathon, I just finished reading Running Within by Jerry Lynch. Now let me first say, I am not an avid reader, so I haven't read tons of books, but of the books I have read about running, this one is by far the best that I have read. If you want to work on your mental running game, it's well worth the $$s. In this book, he gives many mental tips to survive the tough parts of racing - mantras, ideas, and tips. The one that I focused on today was "hello fatigue - I'm busy right now, I will deal with you after the race." Will this work every race, I doubt it, but today, it was helpful. The book recommends acknowledging the fatigue (hello) and then making the comment above. It was like saying yes, I am getting fatigued, but I am OK, and I can do this, and I will honor the fatigue after the race. It worked for me today. * songs that helped today - where is your heart by Kelly Clarkson - when I heard the song, and that particular line of the song, it was like saying to me. Do you have "heart" to do this, and FINISH this, or will you let this PERFECT opportunity pass you by. It motivated me to step up. *Novacaine - Bon Jovi - this song came on late in the race and was perfect. 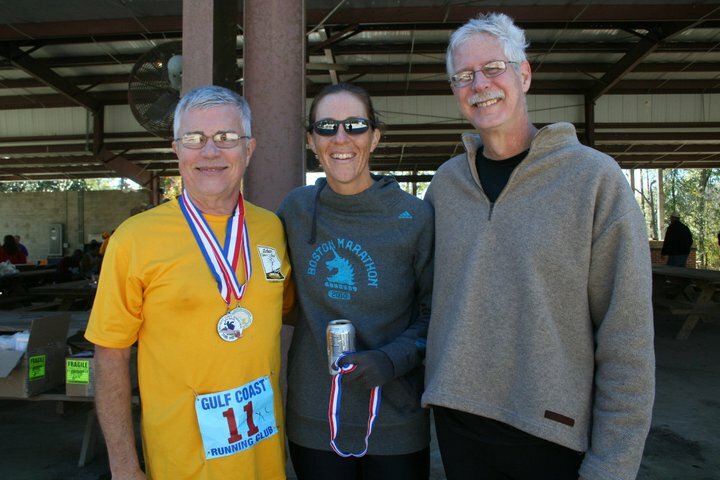 Another reason I enjoy the Stennis race is typically there are some local runners who go to this race, near the coast of MS. Today there were several, and most of them had a great day. 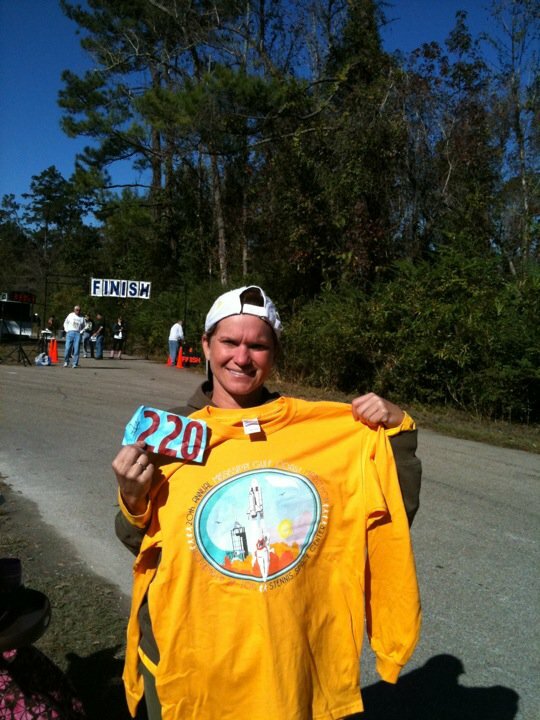 My sister-in-law, Sonja, stayed at my house on Fri. night and finished her 2nd half marathon today. Jennifer ran like a 10 or 11 min PR today. Bridgett ran a PR today. 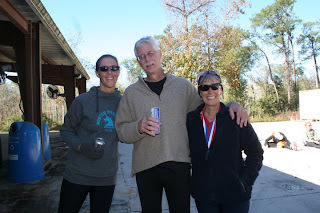 (Jen, Bridgett, and I will be heading to Rocket City to run the full marathon, 2wks from today) Frank - was running his 1st half marathon today, and ran a great race, and came in 2nd in his age group. Other friends at the race, Keith,Steve, Eric, Renee and Dennis, and Neil. (Renee ran like a 29 min PR, and Neil ran a PR too) I think most of our area runners either PR'ed, or won a medal, or both in some cases. Good Day at the RACES! 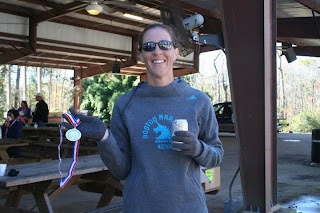 Sonja - 2nd half marathon finish today. 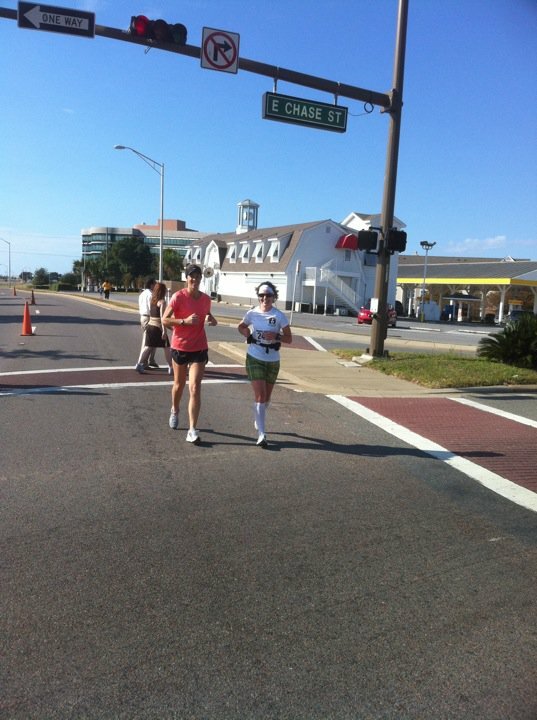 After the race, Bridgett and I ran a couple of extra miles in hopes of helping some other runners finish the race. It was nice to finally be able to chat with her. She is super fast and ran like a 1:34?? - PR today. Go Bridgett! Bridgett has already qualified for Boston and NYC for 2011. Woo Hoo Bridgett! Big Year Ahead! 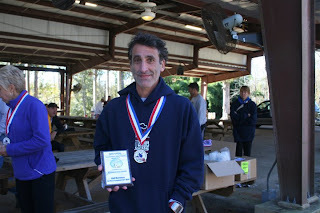 Age group award - I wasn't listening, but I am told it was 1st place??? why does it feel so awesome to run a pr? For me, these days, it’s usually only a few seconds pr, and even if it’s only a 1 second pr, it just feels different, and why is that, why does it even matter? I do not know! why does a negative split run feel so much better than any other type of finish. Seriously, if you finish a race @ 1:47 why does it matter how you got there? Today, I ran a negative split and I ran a negative split at St. George, and it just feels TOTALLY different, like I’ve achieved something bigger, but I haven’t – why is this? I do not know. why does a pr give me a high like most people drink a 6 pack of beer to get? I do not know! 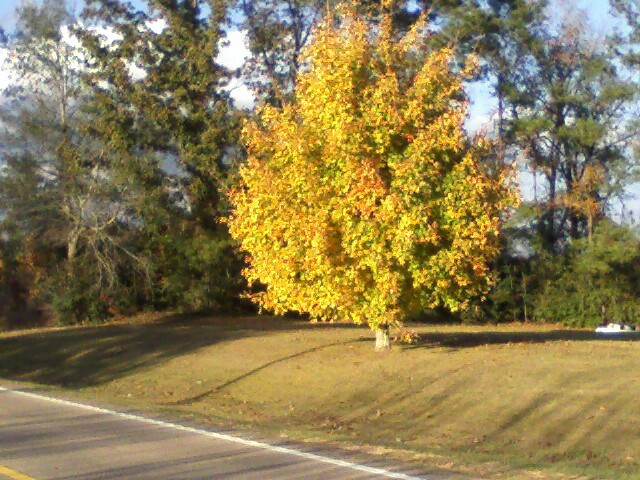 Thanksgiving and a Green Light! I've been monitoring the weather for Sat. and so far it's looking great. If the current forecast holds it should be about 40-45 for the half marathon on Sat. at the Stennis Space Center in MS. This race has become somewhat of a tradition for me. After the "eat fest" on Thurs., is there any better way to spend a Sat. 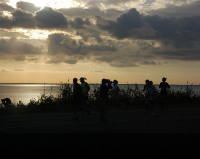 morning than running a half, or a full marathon? I think not! This year I vowed that I would NOT run it, if it ended up being hot and humid like it is some years, but so far I'm getting the "green light" for racing on Sat. Woo Hoo! Feeling totally pysch'ed about that! If the weather holds, I will race it, and hope for good results. Yes, it's a little too close to my full marathon to "all out" race it, but by now, you know my deal. 1. tomorrow is not promised. 2. my running is going well and the weather will be right for Ginny, for racing this Sat. 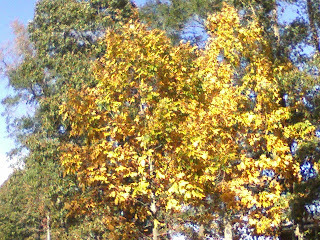 If I "save myself" for the marathon on Dec. 11th, and the weather is hot and humid, I would have missed a perfect opportunity to put my training to the test this fall. 3. I just can't help myself! 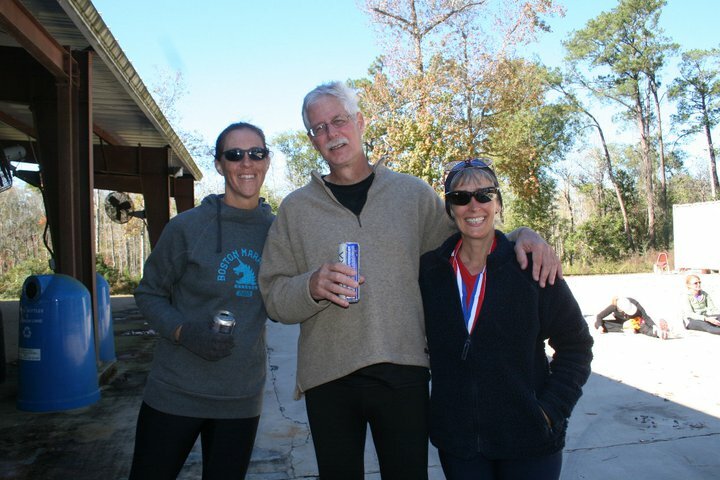 After the Pensacola race, I'm ready to go for it, and "finish it" under the right conditions. 4. did I mention the Thurs. "eat fest" Well, this is all part of the plan my friends. With planning to "all out" race on Sat., Ginny will NOT "pig out" on Thurs. Yes, I will celebrate Thanksgiving, and yes, I will eat too many calories, but, I will NOT eat all day until I am miserable. Woo Hoo - now that is progress my friends. Totally excited about the weekend. Heading to the track tonight for 9 X 800 at 3:45 or under - LOVE IT! Tues. - 8 X 800 @ 3:43 avg. with Audrey. Vicki and Steve joined us for part of the workout. miles without hydration stops averaged around 8:46 pace. Today I went out for a 15 mile run. 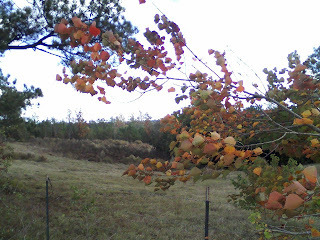 The run was extended because I kept stopping to take pictures along the way. It is the height of the fall foliage in South MS and most likely by next week the leaves will be past their prime. 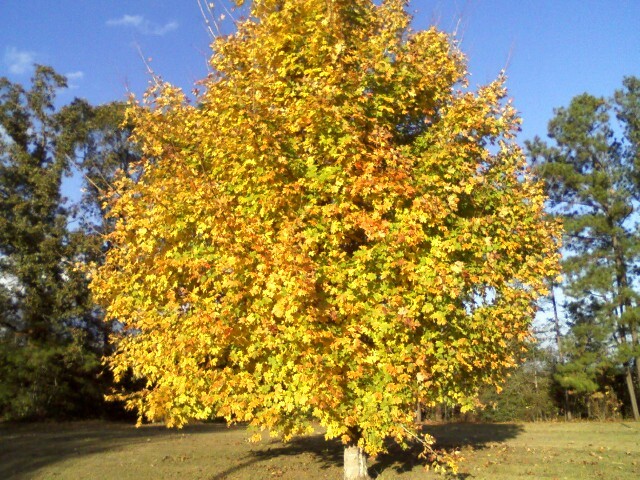 So I decided to take advantage of the beauty all around. The Run - nice run on rolling hills today. (9:38 avg pace stopping Garmin for pics). Felt great with all the breaks to take pictures. Also, the weather cooled making it a nice breezy comfy run. 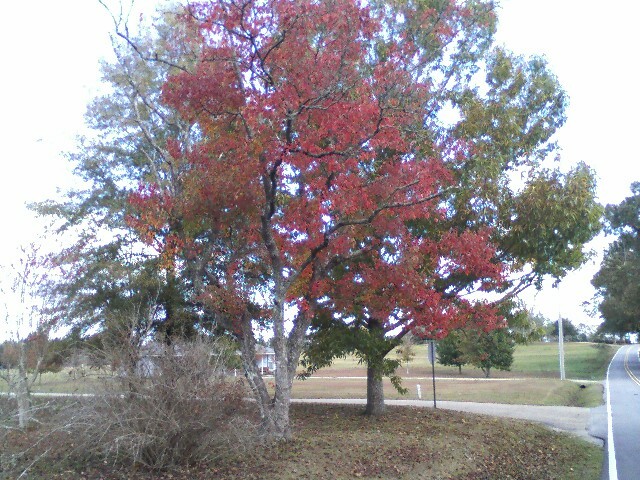 Every fall this tree puts on a show for me to enjoy each time I run this route. It's not mental....it's physical for me. Now to the nice pics that Ruth and Terry (Laura's parents) took along the course. Still celebrating Laura finishing her first full marathon. Laura in the middle, around 24ish...getting it done! Is it the mind or the body? 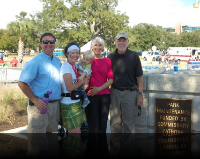 What a great day, NOT by my half marathon time @ the Pensacola Half Marathon, but a GREAT day with friends and family anyway. I know this is CRAZY to some of you. Fight to the end, right? In my opinion, NO, not today. I have another half in 2 wks – so instead of "beating a DEAD horse", I took the opportunity to do what I think was the smart thing today. I had a GREAT tempo run for 7 miles, and called it a day. I know this drives some of you absolutely CRAZY. I know you think I “GAVE UP.” I have a totally different opinion. I think I was totally smart, and I am excited that I can walk way knowing I had a solid training run today. I also had another revelation today. When possible, I will no longer sign up early for races. Financially, that really hurts me, I’m ALL about saving a BUCK, but for some races, I will no longer sign up in advance. I will wait for the weather prediction and then make my decision. If I want to go for a training run, I will still sign up, but if my intention is “racing” I will “pick my days” for the nearby races. The great news for today. My cousin, Laura finished her first full marathon. Yay Laura! It was a hot, hilly, humid race, but she finished it “in fine fashion,” I should say. 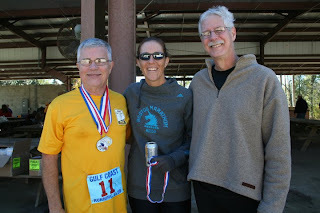 So today, I was able to run with Keith for several miles in the half, and I ran a few with Laura and friends during the full, and I had time to visit with my cousins, Ruth and Terry. Great day in Pensacola with a good tempo run. After years of thinking I can learn to run in warm and humid weather, I give! So the question is…. Do you think I’m caving mentally, or can it be that some people can’t respond to the humidity? It really doesn’t matter which it is, I think I have decided this old dog can’t learn that trick, and I'm ok with that! Strive for better, but know your limits! Today, I finally figured out my limit, and I will honor my body, mind, and soul, and accept this reality. Note: Take an ice bath after your long runs and races. You will recover faster, and feel better post race. 30 days to Rocket City Marathon - yay and yikes at the same time! 1. after the record wkly and monthly mileage......you can guess it....I got sick. 3. 75 miles one wk......22 the next wk - good recovery, I suppose. 6. Thurs pm - leave for Gulf Shores, AL(one of my favorite places) for the weekend. 7. Fri - supposed to be off work, but ended up on the computer all day, but I had this view - not a bad office view! 8. Fri night - still coughing but the low is 39, and I MUST go run the 5k. 9. Sat. 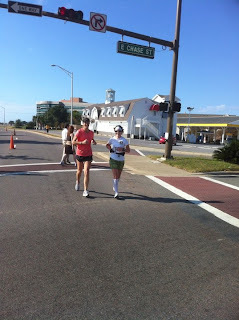 - I headed to Mobile, AL to run a super fast 5k/10K course - probably my favorite. 10. 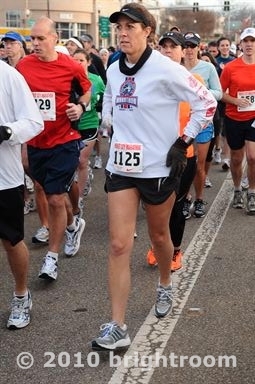 Senior Bowl 5k - 42 degree start - finally some 5k racing weather. 13. 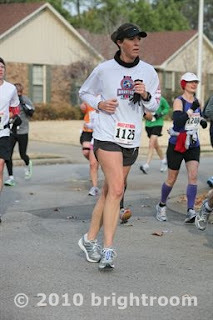 Try to pick it up a little, but nervous about racing and "the cough" - still have a marathon to train for. 14. mile 2 - 7:33 - go for it! 19. The good things - negative split run, not 100% today, and only 19 seconds off my pr. Sweet! That's why I've been working so hard on getting my 5k times down because I know my 5ks times need to be mid 23 to be in the ballpark for a good marathon time. I need the speed and endurance, to do well in the marathon. 22. 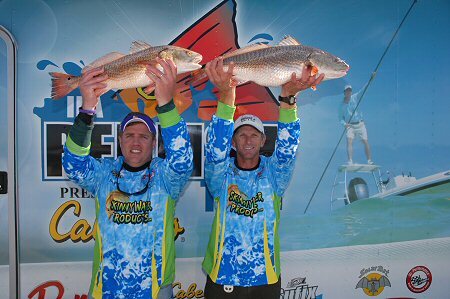 Hubby fished another redfish tournament this weekend. The IFA Redfish Championship in Orange Beach, AL He and his partner, Jay won the championship. Hubby's been working hard for this for several years. So proud of him! We talk often about the parallels of his love and work at fishing, and my love and work at running/marathoning. We are lucky to both have hobbies we love, and we understand each others passion for the sport. 23. After the championship on Sunday - we left Gulf Shores and went to Covington, LA for the night. 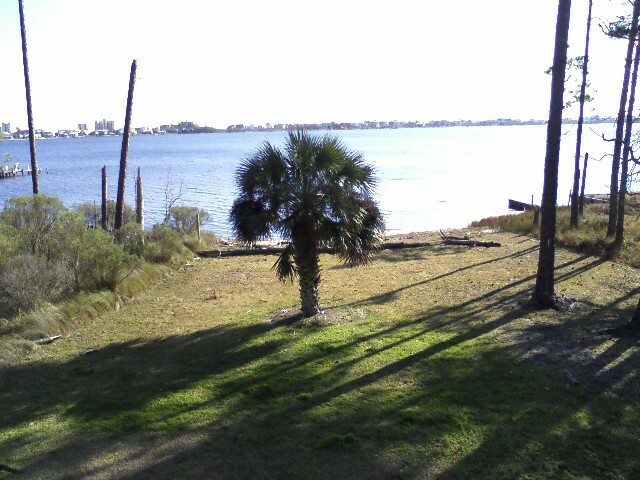 We stayed and visited with Chad's uncle and his wife, such natural hosts. Thanks Gaye and Mike! (wish I had that ability.) Monday we left Covington and drove 11 hours to Corpus Christi , TX. 24. Monday night - after the 11 hours drive - stepped off the treadmill at 9:00 pm, after running 9 miles. I went to the Corpus Christi Athletic Club. At least I was entertained with DWTS on the TV. 25. 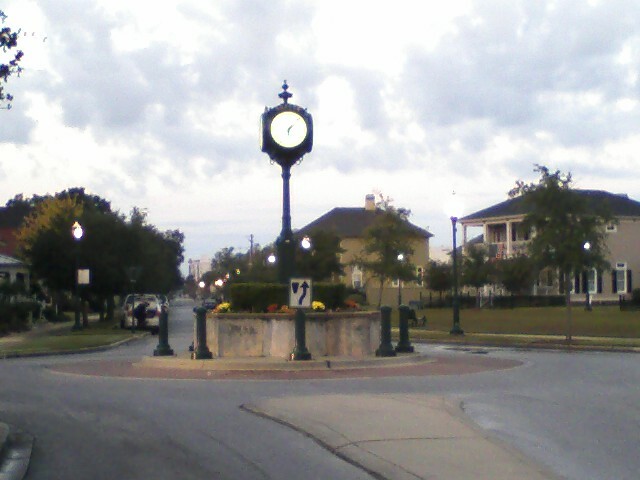 Tues. am - up at 5:00 to start running at 5:30 - run 10 miles, shower, and back in the truck for the drive back to Covington. 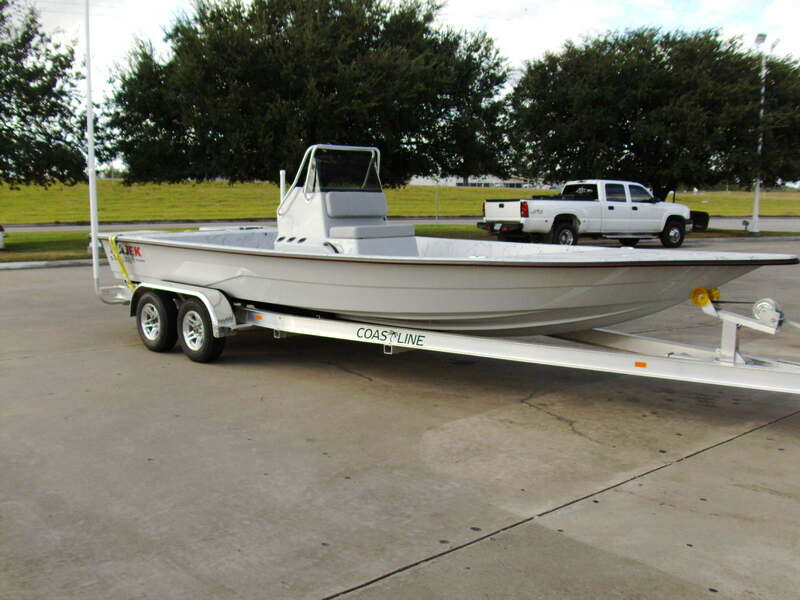 26. while I was running along the bay at Corpus, Chad was picking up his new boat. 27. back to Covington, and then HOME at 11:00 pm. Home Sweet Home! 28. up at 5:15 am to go drop Jen for her 20 mile run, and then go for my 6 mile run. 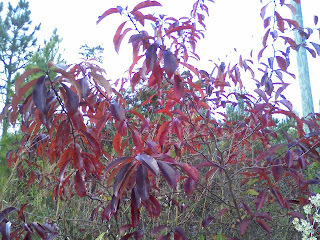 30. catch up the rest of the day, and update the blog tonight. Now REST!